I chuckle every time I hear a story about the famous Antonio Stradivari, the Italian luthier who built some of the world’s best violins, the Stradivarius, in the 1600s. Theories and myths abound over the reasons behind the instruments exceptionally pristine sound that can’t be duplicated today. Some say it’s the age of the wood. 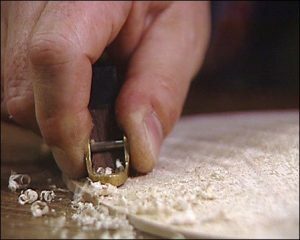 Others say it’s the chemicals present in the violin’s finish that include borax, fluorides, chromium and iron salts. Some even say that Stradivari colors his violins with blood. To some, it’s the wood density. One theory suggests that the spruce used in making the violins, which grew at a time when a mini Ice Age occurred in the 1600s, made the violins sound great. The trees that grew in this period had tightly spaced rings due to slow growth caused by the long cold winters. All these theories miss a crucial element: the craftsman himself. I’d say that while the wood and the finish matter, it is the luthier’s skills more than anything else that is responsible for making a great instrument. Case in point: a Californian builder by Bob Taylor proved to the world that an outstanding instrument can be built regardless of the wood used. He built the infamous Pallet Guitar made from shipping pallets using various woods such as weathered oak and pine which are never regarded as tonewoods. Experts including C. F. Martin all agreed that Bob Taylor made his point. My instinct as an engineer tells me that the real secret is in tuning the wood. 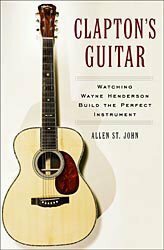 In the book “Clapton’s Guitar”, the author Allen St. John describes in great detail how Wayne Henderson, whom the author claims to be the world’s greatest guitar builder, built a guitar for Eric Clapton. One crucial step involves a process known as voicing the top. With his sharp whittling knife, Wayne slowly and meticulously trims away everything that is “not a guitar”. Every once in a while, Allen recounts, Wayne stops and holds a piece of spruce up his ear, lightly tapping on the top and listening closely to the emanating overtones. Essentially, he is using his well trained ears as a very precise spectrum analyzer. Joseph Nagyvary, a biochemistry professor at the Texas A&M University, claims to have made violins that sound as magnificent as the great Stradivarius. Such a tall claim, indeed, but what I find particularly interesting is that Nagyvary says he can tell a great violin from a mediocre one simply by looking at its spectrum and all great violins have similar spectrums. He continues: “And the pattern almost exactly reproduces that of the human voice. It’s no coincidence that listening to a great violin, played by a great violinist, can be such a powerful emotional experience.” I think that is a very good and crucial observation. Nagyvary experimented on various wood treatments until he replicated the spectrum he sought for. In my course of research, I came up with similar accounts. Somewhere around the globe, in Heinävaara, Finland a group of experienced guitar luthiers and wood material experts doing extensive research and experimentation for many years came up with what they call Flaxwood, a moldable wood with exceptional tonal properties. I’m guessing this is another case of tuning the wood. Flaxwood is manufactured in an environment where the acoustic properties can be monitored, controlled and optimized. Now his observations more or less confirm my suspicion all along! The perception of sound is very subjective. How often do you hear people describe sound as “full bodied”, “fat”, “thin”, “open”, “airy”, “crunchy”, etc.? We try hard to associate the words with the sound we hear. Some descriptions are lightly amusing, some are outright hilarious. Take this comment from a purported audiophile expert, for example: “You will enjoy a pitch black background, deep, yet lightning fast bass, smooth midrange, and most importantly, seemingly limitless top end extension. Though not at all bright or fatiguing in any manner, Pure Palladium’s sparkling highs allow for the presence of the often coveted sense of air as well as glorious imaging and soundstage. This interconnect possesses the ability to untangle even the most complex pieces of music.” That’s for a $1,550.00 pair of 1.5 meter RCA cables! The way we describe sound depends on various factors such as the weather, our mood at the moment or the recalled emotions from a movie with a similarly sounding soundtrack. To someone who just purchased a very expensive, “high end” audio cable, the sound can be “sweet” and “danceable”, but subject that person to a double blind test and he won’t notice the difference between his cables and another less expensive but well manufactured brand. I cannot claim to have golden ears like, perhaps, Antonio Stradivari or Wayne Henderson. I can however discern minute nuance in sound given two sources. I was not gifted with perfect pitch, but I do, at least, have good sense for relative pitch and I can discern dissonance and feel the sub harmonic beats when something is out of tune or inharmonic. 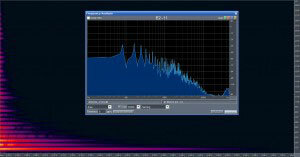 Apart from my ears, the greatest tool, I would say, is the computer in front of me and some expertise in digital signal processing (DSP) and analysis. It is said that some people, like those with perfect pitch, can visualize sound like colors. Fortunately, for the rest of us, we have such tools now. These are the tools I used to find the exact material for the Cycfi guitar. Flaxwood is a commercial hoax. 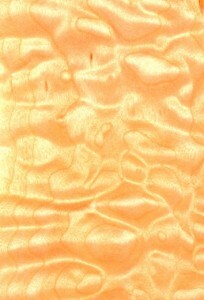 Similar composites based on flax fibers and several bindrs as well as eventual woodflour binders are legion in the wood industry. Handtools often have plastic, metal , laminated comosite, powder composite and wood/plantfiber composite handles. You can find handles made of agglomerated flax fibers, hemp fibers etc. NOTHING NEW, the "innovative" guys in Finland just studied a few patents and modified a few minor details, that's no invention. This is getting tiring because in the music industry everyone is claiming boldly they invented things which were imagined in fact decades ago and sometimes even patented long ago as well….BY OTHERS. Suffices to check on freepatents.com to have a bitter surprise. Thanks for the info. I'll do further research on this one and update this article. Are they claiming that they invented the composite using flax fibers? It was my impression that the innovation was the proper mixture of materials and the process of manufacturing the composite while still making it sonically well suited as a "tone-material". Making a strong material is one thing. Making it also sound good is another thing. Followup: yes, the luthier in question claims he invented it or at least had a great part in developing it which is untrue, le it is in fact developed entirely by a reputable company specialized in natural fiber reinforced composites called Kareline : the luthier behind the company “Flaxwood” (same name as the composite they rebrand under the said name) is simply a client and is listed as such on the Kareline’s client list on their website along with commercial examples of using a certain range of Kareline products for certain specific industrial applications ( http://www.kareline.fi/en/references/ ) . Reading then between the lines on Flaxwood’s website section dedicated to the material shows how some luthiers pretend to have developed a product when in fact they use a niche product unknown to the general public (and to other luthiers) , which permits them to throw out wild claims of having “participated”, “discussed with engineers” and so on. Truth is they just found a product in a catalog which fulfilled their particular needs.